I love the fun image and especially love the rocker card, I have a penchant for shaped cards and this is a beauty. A super card Sylvie, such fun image. 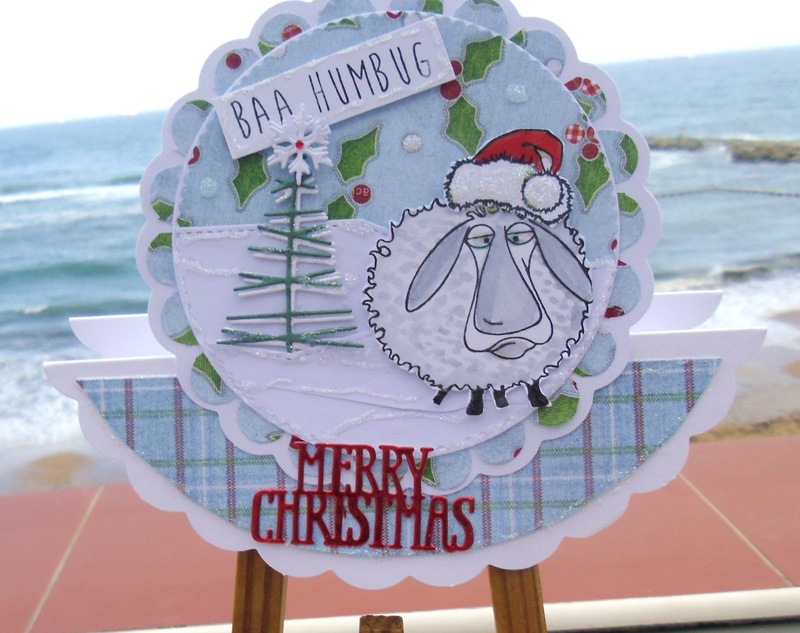 We all know someone who’s bah humbug at Xmas so this is just perfect and such a fab fun design! That’s got to make them like Christmas more! A lovely sweet and adorable card Chrissy. Thanks for joining our challenge at Addicted to Stamps. A Great fun card, love the rocker element too. Cute! Love his expression and what a great rocker he has made too. hugs Mrs A.